Electromagnetic Waves | Cool Kid Facts . 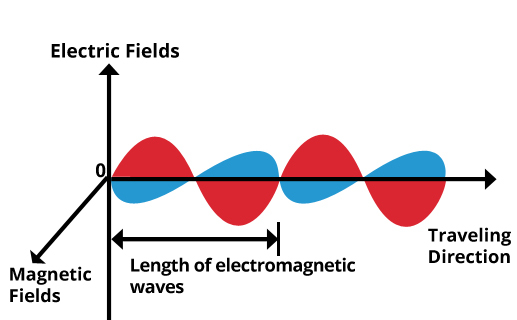 Electromagnetic waves are energy waves that have electric and magnetic fields. These waves travel through a vacuum and can transmit energy. Each type of electromagnetic waves is used for a different purpose. As well, they are classified by their frequency – the length of the wave (speed) and the crests (high points) and the troughs (the low points) of the wave – the higher the frequency, the shorter the wavelength. The electromagnetic waves that are the most important to us in our daily lives is visible light as this gives us the ability to see. 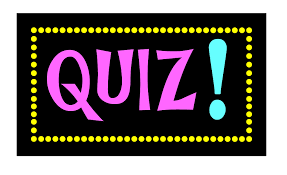 Of all the electromagnetic waves, radio waves have the longest wavelengths, therefore have the lowest frequency. Each radio wave can be a foot long to as long as several miles. Radio waves are used to send and receive information – radios, satellites, radar, sonar, and the worldwide web or internet. These waves are shorter than radio waves and are usually centimeters in length. Microwaves are used in microwave ovens, to send and receive information, and in radar to predict weather. Microwaves are useful because they can travel unhindered by clouds, smoke, and rain as long as it is not torrential downpours. There are two kinds of infrared waves – near and far. Near infrared waves are used in remote controls to send messages to your T.V., music system, automatic car starters, etc. Far infrared waves are radiant heat that does not heat the air but heats objects that it hits. Heat from fires and quartz heating units are examples of far infrared waves. 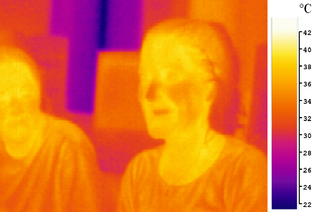 Even animal and human bodies emit far infrared waves because they can give off heat. Today, ceiling, wall, and floor panels have been invented to heat areas of a building using the power of far infrared waves. This is the visible spectrum of light that is seen by the human eye. This is the part of light that causes sunburns. Some bees can actually see ultraviolet light. The Hubble Space telescope makes use of ultraviolet waves to see far into space to view stars and planets. These waves can penetrate skin and muscles to produce photos of bones. X-rays can be used to detect metal in bodies, such as locating shrapnel and bullets when a doctor needs to perform operations to save lives. These waves have the greatest energy. They are used sometimes to treat cancer. They are emitted during in nuclear explosions. What do electromagnetic waves do? What is a trough and what is a crest? What is an example of the use near infrared waves? What are far infrared waves? Which rays have the greatest energy? A trough is the lowest point of a wave and a crest is the highest point. Near infrared waves are used in remote controls. Far infrared waves are radiant heat. Gamma rays have the greatest energy.